If you have money to invest then you have options. You may want to invest in the stock market. You may invest in a start-up and help it get off the ground. Or you could invest by purchasing real estate. At Berkshire Hathaway HomeServices California Properties we have helped many buyers find the right income properties. Keep reading to learn about five of the reasons that investing in real estate may be the right choice for you. Appreciation, which means to increase in value, is not guaranteed with any investment, including real estate. That said, California properties have historically increase in value year after year. Even if there are one or two years in which your property’s value goes down, it is likely to rise again. If you invest money into a bond and get a nice profit from it ten years from now, you will actually be losing some of that profit to inflation. Essentially, the money will not be worth as much in ten years as it is worth today. One of the advantages of investing in real estate is the fact real estate prices generally rise with inflation – in fact, they often exceed the rate of inflation. One of the reasons that people prefer to become a landlord rather than investing in the stock market is because the money they make on a property can come to them every month in the for of rent. Ideally, the rent payment would cover the costs of the property (including mortgage, insurance, maintenance, etc.) with some additional cash leftover at the end. Leverage means to take capital from one place and use it to increase your return on investment. For example, when you buy an investment property you only need to put down a small amount and can take out a mortgage to finance the rest of it. However, you profit on the entire amount – not just the amount you put down. 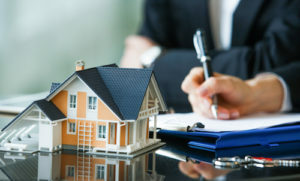 The specific tax benefits of you owning an investment property will vary based on where the property is located, how it is used, and your unique tax situation. The best option is to talk to a tax expert to find out exactly what you should expect. However, it is often the case that the profits earned on real estate investments are not taxed or not taxed as much as other income. Are you ready to invest in California real estate? Do you want to hear more about the options available in your area? Then contact Berkshire Hathaway HomeServices California Properties now at 310-373-0021 and we can help you get started. You have a partner in the search for the ideal investment property.